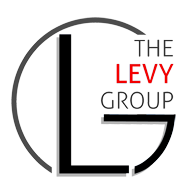 The Levy Group – EWM Realty International Hey Miami Real Estate Market!! Where are we now?? This chart tells it all. I can tell you first hand that this market is moving along. A well priced house will sell in 2 days!! It is like two separate markets. 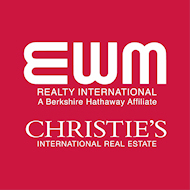 On one front we have the foreclosure/ short sales that will pop up but in the prime real estate markets from Palmetto Bay, Pinecrest, South Miami, Coral Gables, through Coconut Grove we have a very limited amount of inventory with a good buyer pool just waiting. But getting back to this chart, we are flattening out and the curve is starting to make a plateau at the levels somewhere b/w 2003 and 2005. Interest rates and prices have never been this low together. Now is the time to buy if you have the credit. It is time to go shopping!!! The chart anchors all three indices from the first quarter of 2000. Real estate got out of hand across the country, with appreciation peaking nationally at 166 percent in 2007. But in Broward, values soared 272 percent. Miami-Dade did even better, up 283 percent. It’s easy to see how quickly values collapsed, but the chart also points out something that tends to be overlooked amid the wreckage of real estate. Home values are still ahead of where they were in 2003. More surprising, local property has actually held its value better than the average home in the United States. According to the FHFA, the average U.S. home is worth about 40 percent more than it was at the start of 2000. In Broward, the average home is worth 49 percent more. In Miami-Dade, it’s 56 percent more valuable. The Miami Herald’s Economic Time Machine charts South Florida’s recovery from the Great Recession by comparing current conditions to levels set before the downturn.